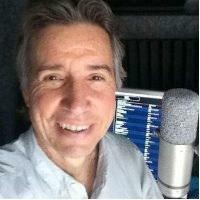 Gregg McVicar is former host of Earthsongs and producer of numerous other national projects. Among his loves are cycling, swimming, hiking, camping and attending music festivals. Gregg’s creative work has been recognized by a Peabody Award, an RTNA Golden Mic and multiple awards from the National Association of Community Broadcasters. He holds a master’s degree from the Annenberg School for Communication.